Those who have a positive family history of liver cancer are more likely to develop hepatocellular carcinomas (HCC), a new study has suggested. The study also showed 70-fold elevated risk of HCC in those with liver cancer in the family and markers for hepatitis B (HBV) or hepatitis C(HCV). Liver cancer ranks sixth in incidence and the third cause of mortality worldwide. According to the World Health Organization (WHO) liver cancer was responsible for 700,000 deaths in 2008, with HBV and HCV accounting for 78 percent of all cases of HCC. A vaccine for HBV has been available since 1982; however prior studies have shown familial clustering of HCC in East Asia where HBV is common. While medical evidence reports family history to be related to HCC risk, little is known of this relationship in non-Asian populations. "There is a high incidence of liver cancer in southern Italy which is likely a result of a higher frequency of HCV in this area," explained Professor Carlo La Vecchia from the Istituto di Ricerche Farmacologiche "Mario Negri" and the University of Milan in Italy. "Our study investigated the relationship between family history and liver cancer in a Western population," he stated.The case-control study was carried out between January 1999 and July 2002, and included 229 cases of HCC and 431 hospital controls. HCC patients ranged in age from 43 to 84 years, providing survey information and blood samples. The control group included patients admitted to hospital for conditions not related to tumours. Analysis of data on family history and liver cancer updated to April 2011 was also performed.Results show that 75 percent of the cases and 11 percent of controls showed evidence of HBV and HCV infection. Family history of liver cancer was associated to HCC risk after adjusting for chronic HBV and HCV. Compared to subjects without family history of liver cancer and no chronic HBV and HCV, researchers reported an odds ratio of 73 for those with both risk factors, indicating a 70-fold increased risk of developing HCC. "Our findings confirm that individuals with a positive family history of liver cancer have three times higher risk of developing HCC," noted Professor La Vecchia. "Monitoring individuals with family history, particularly those with hepatitis markers, could help to identify HCC at an earlier stage, and hence potentially reduce mortality from HCC," he suggested.The findings were published in the May issue of Hepatology, a journal of the American Association for the Study of Liver Diseases. Have you ever wondered why you've been getting those red rashes lately or suffering a stomach ache every day? It is not wise to always blame the change in weather. Often the food that we eat regularly might be the reason for these allergies. 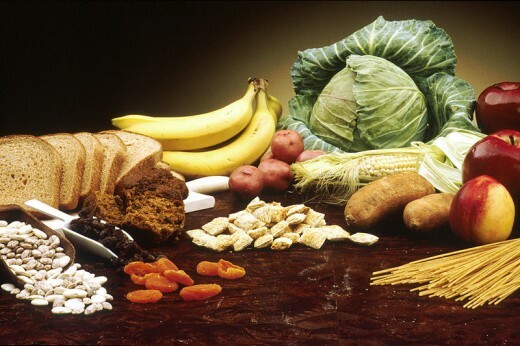 We list out a list of foods that you should be cautious of. Peanuts: Peanuts are estimated to affect 0.4 to 0.6 per cent of the population. Says Mansi Belani, nutritionist, "Peanuts cause allergic reactions like abdominal distress, skin eruptions and asthamatic paroxysm." Soya bean: The presence of phytoestrogen and high content of fibre in soya bean is said to cause gastrointestinal problems like stomatitis, bloating, diarrhoea and abdominal pain. Other vegetables: Says Jivesh Shetty, nutritionist, "Other vegetables like carrots, spinach, cabbage, onion, garlic, cauliflower, sweet potatoes and pumpkin are also said to cause allergic reactions like skin rashes, abdominal pain and gastric problems." Fruits: "Among fruits, strawberries, bananas, oranges and grapes are the principal offenders. Citrus fruits like lemon is said to cause atopic allergy," says Belani. Wheat flour: Wheat gluten is said to be an allergen. It has been associated with precipitating symptoms of celiac disease in some people. "Celiac disease is a condition that damages the lining of the small intestine and prevents it from absorbing vital nutrients," says Belani. Gluten is also found in barley, oats and rye. Cow's milk: Protein casein and beta-lactoglubin are known as major allergens. Says Shetty, "Cow's milk when consumed leads to colic pain and other allergic reactions including stomach ache, loose motions, feeling of nausea etc. Eggs: Eggs are said to be common allergising agent among animal foods. Says Belani, "Eggs are said to cause cutaneous manifestation (type of a skin problem)." Fish and meat: Fish and meat is said to give rise to allergic reactions in some individuals. These reactions mainly cause urticaria (a raised and itchy skin infection), gastrointestinal disorders and even asthma. Beverages: Says Belani, "The allergic reactions in alcohol are due to foreign substances derived from food materials employed in the preparation such as barley malt and yeast in beer, rye, corn and wheat in whisky and egg white, yeast in white wine and champagne." London: Brushing your teeth twice daily may be sensible advice, but rubbing toothpaste on your gums after lunch also hugely lowers the risk of developing cavities. 'Rubbing toothpaste on to your teeth (and gums) increases the flouride protection by 400 percent,' said Anna Nordstrom from the University of Gothenburg, Sweden who led the study. 'This 'massage' method proved to be at least as effective as a third brushing in increasing the amount of fluoride in the mouth,' added Nordstrom. Gothenburg researchers were testing the effect of a high-fluoride toothpaste sold over the counter in Sweden. They asked volunteers to brush various numbers of times a day and also tested out the 'finger rubbing' technique, the Daily Mail reports. 'Rubbing the front of your teeth with toothpaste can be an easy way of giving your teeth a third 'shot' of fluoride during the day, after lunch for example,' said Nordstrom. 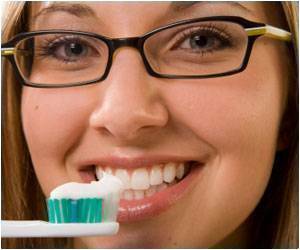 Fluoride is a naturally occurring mineral that prevents decay by strengthening the protective enamel coating on teeth. New Delhi:Pregnant women with diabetes are more likely to have birth defects than women without the condition, a study by a Britain-based major research-intensive university said here Wednesday. 'The study led by Newcastle University and funded by Diabetes UK, for the first time has evidence that quantifies the effect of glucose levels. The blood glucose level around the time of conception is the key factor predicting the risk of congenial anomaly,' a statement from Newcastle University that has published the study said. 'The researchers have found that during pregnancy, a woman with Type 1 or Type 2 diabetes has a risk of a birth defect which is about seven percent, as compared to an average of around two percent in women without diabetes,' the study said. 'The good news is that, with expert help before and during pregnancy, most women with diabetes will have a healthy baby. The risk of problems can be reduced by taking extra care to have optimum glucose control before becoming pregnant,' said Ruth Bell, the study's lead researcher. There's no denying that every woman loves a day at the salon. There's no better way to pamper yourself and get some much-needed relaxation than to book an appointment for a facial. A facial has benefits which are aesthetic as well as psychological. Not only does it improve the look of the skin, it also takes that back-breaking stress off your shoulders. However, beauty expert Shahnaz Husain advises, "The skin type should be kept in mind while selecting a facial. The beauty therapist analyzes the skin and suggests the treatment that's suitable for a particular skin type - oily, dry or combination." For a woman with a normal skin type, a facial massage is provided by using nourishing creams. Moisturizers are also used. Husain suggests, "If you have normal or dry skin, ideally opt for the classic facial or a plant stem facial." "For those with oily skin, a facial massage with creams or moisturizers is not advised," says Husain. The facial treatment for oily skin includes deep cleansing with exfoliation, toning, mask and protection. The masks and other procedures help remove excess oils, shrink the pores and make the skin soft and translucent. Silver facial: This facial is done to detoxify and purify your skin. The silver facial consists of a glow scrub, gel, cream and pack that offers dull skin an instant lift. This facial not only restores the natural pH balance of your skin, but also clears the pores and deep cleans to prevent the formation of blackheads. Dr Shobha Sehgal, beauty head, says, "The silver facial revives your skin by giving it the right amount of moisture, and evens out your tone, leaving your skin evidently supple and charming." Platinum facial: The platinum facial is said to recharge and energize your skin. It influences the skin at the cellular level and helps to ensure the strength of its supportive tissues. It maintains the desired moisture level. It has powerful anti-oxidant effects which protect the skin's youthful properties and impart radiance. - Improves blood circulation, strengthens the supportive tissues and improves the skin's resilience. - Skin specialist Dr Jaishree Sharad advises, "If your skin is dry, then ensure that a hydrating ingredient is a part of your facial mixture. For those with oily skin, make sure alpha hydroxyl acid or beta hydroxyl acid is used which help to reduce excess oil flow. Those with sensitive skin should stay away from fragrance-based ingredients which can lead to eruptions."